Poetic Justice II: There’s a new Serif in Town. Poetic Justice II: Courier New? I barely know her gnu! Poetic Justice II: The Metaphrast And The Furious. 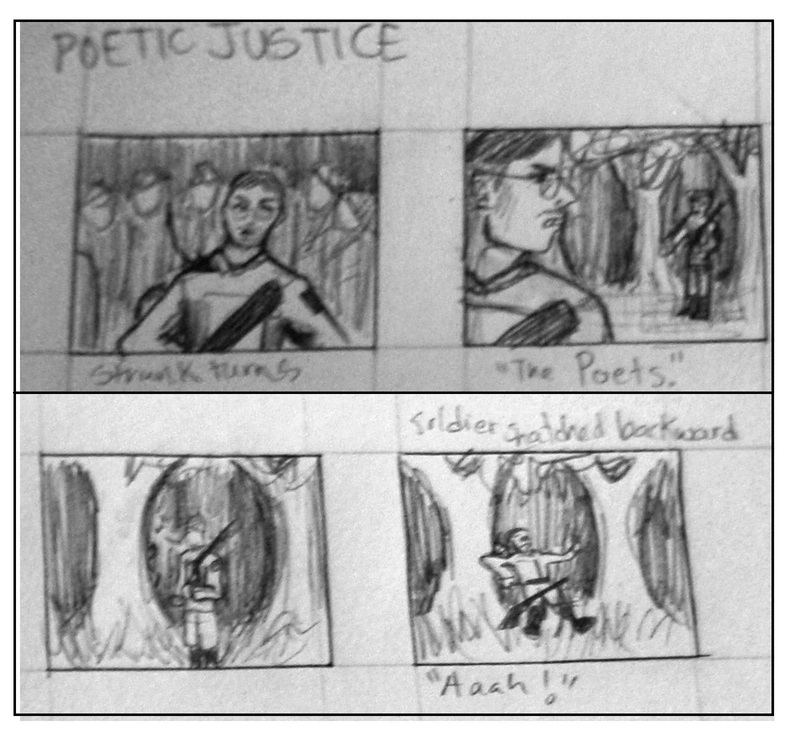 A snippet of the storyboard for my upcoming “action hero poets” student film, Poetic Justice. Here, the villainous Strunk and his Grammar Nazi minions are about to receive a visit from the poet team. The storyboard is the much-appreciated work of my friend Nimphaiwe. 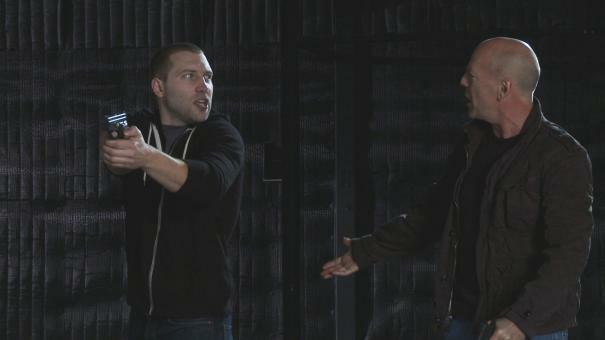 Tentative release date for the film: December 2012. Looks like Strunk needs to spellcheck himself before he wrecks himself. To be honest, I have no plans for a sequel to my action movie featuring great poets, Poetic Justice, but I have to admit that the cheesily-subtitled sequel is a staple of the action movie genre, and in the spirit of such greats as the fifth Die Hard, A Good Day to Die Hard, I’m going to submit a list of entirely possible subtitles for a Poetic Justice that rely entirely on incorporating literature puns into rote phrases. Classic. Poetic Justice 2: There’s a new Serif in Town. Poetic Justice 2: Courier New? I barely know her gnu! …and that’s just the font-based puns. I’m sure I can come up with more if I have another literary topic. I could put those in a second post. Which means I now need a title for a sequel post to a post about sequel titles.